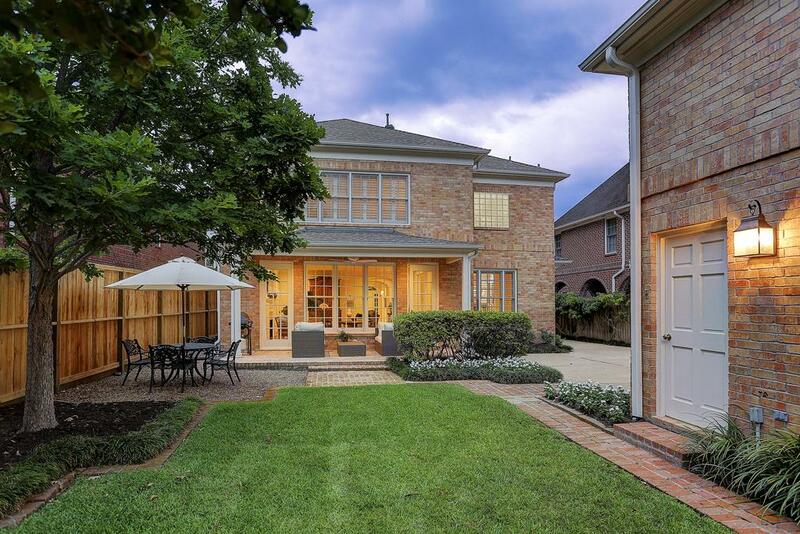 Come see this beautiful home in an outstanding West U location. 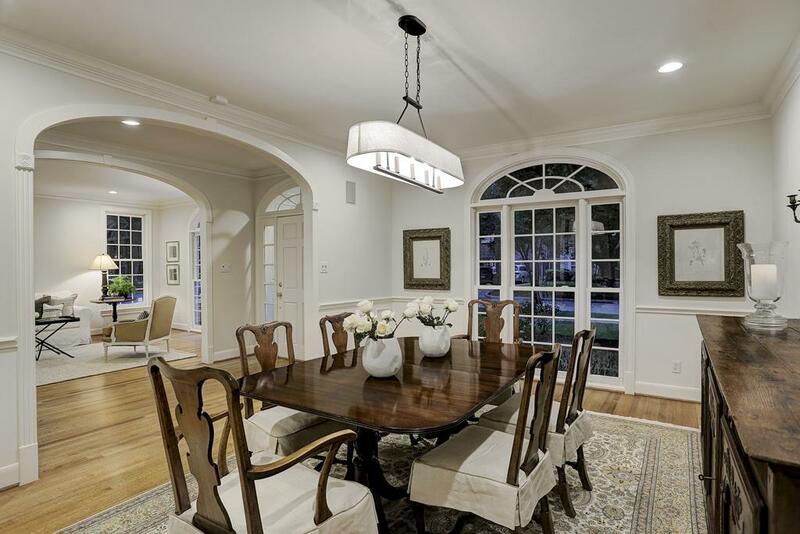 Dining Room - High ceilings, hardwood floor, antique brass chandelier, filled with natural light. 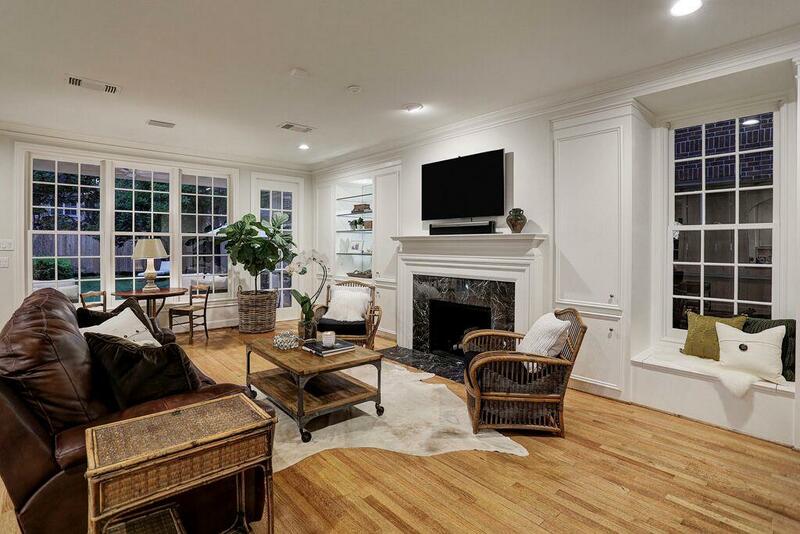 Formal living room with with hardwoods, recessed lighting. 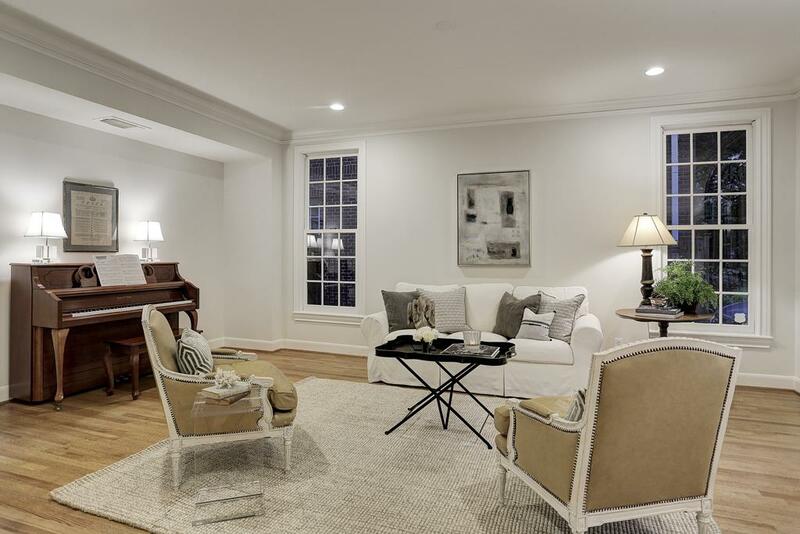 Family room with built-ins, bench seating, Gas fireplace with granite surround and hearth. Recessed lighting. 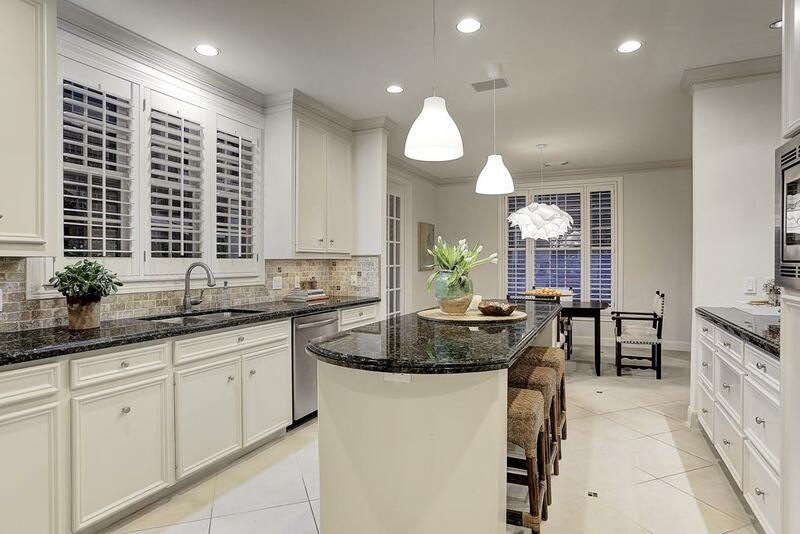 Kitchen - Remodeled 2014. 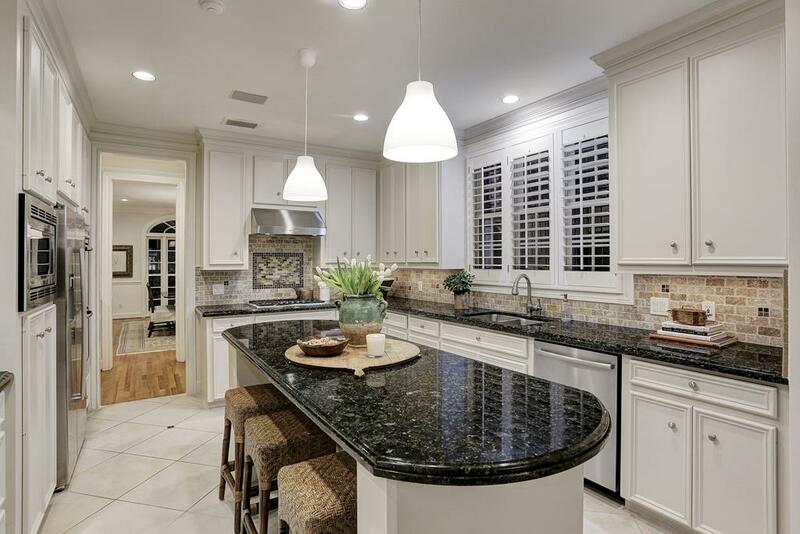 Large primary island with granite top, seating at the breakfast bar, lots of workspace. Breakfast room - large light filled space. 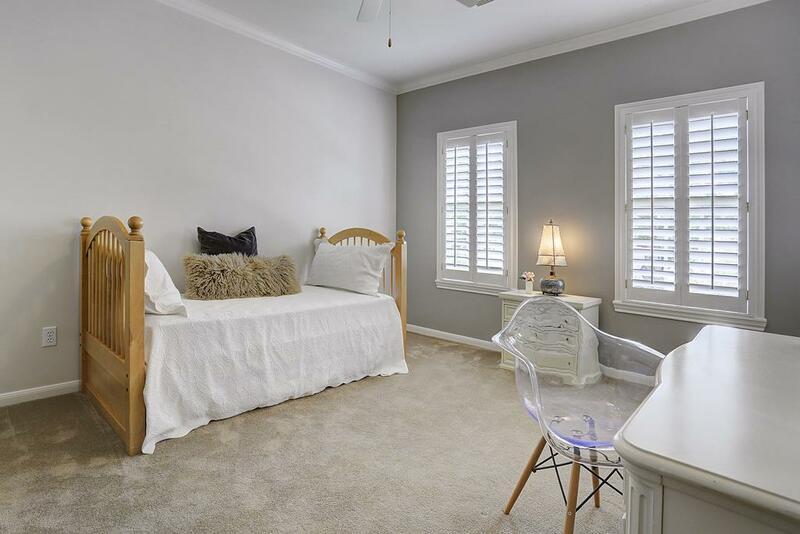 Open to family room. Large SS sink, Bosch microwave warming drawer below 5 burner gas range. Bosch dishwasher, refrigerator. Double ovens. 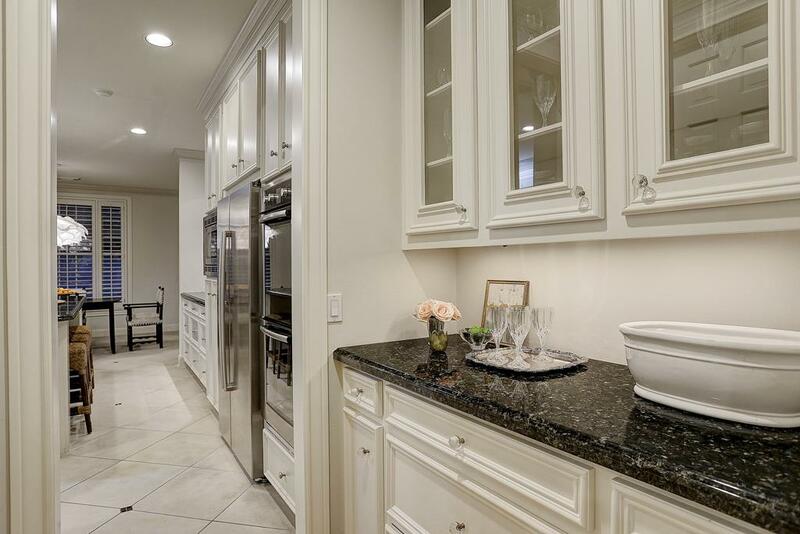 Butler s pantry- Has glass front cabinets, shelving and plenty of under counter storage. Adjacent to this is the walk-in kitchen pantry. 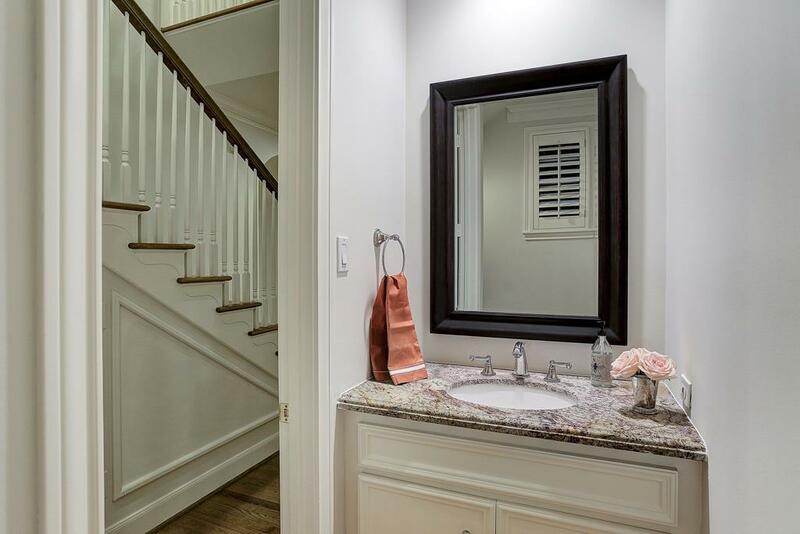 Powder room - Granite counter, good storage. 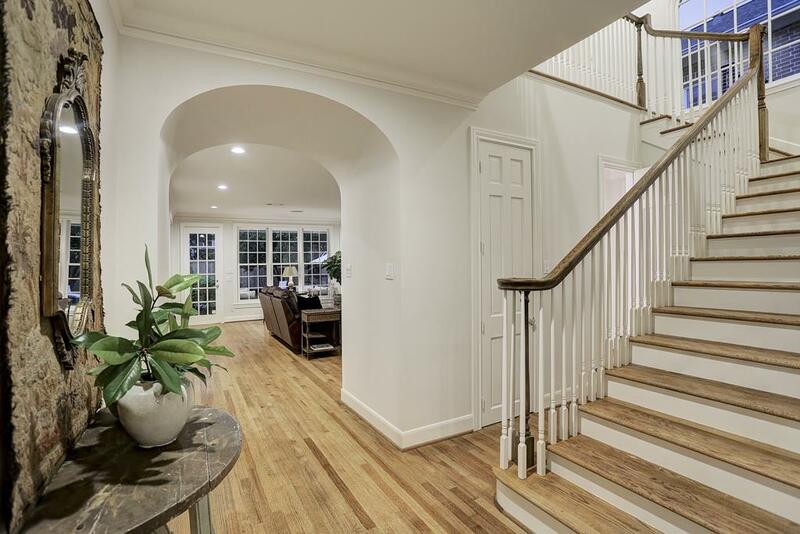 Beautiful center hall entry opens to formals on either side and spacious family room straight ahead. 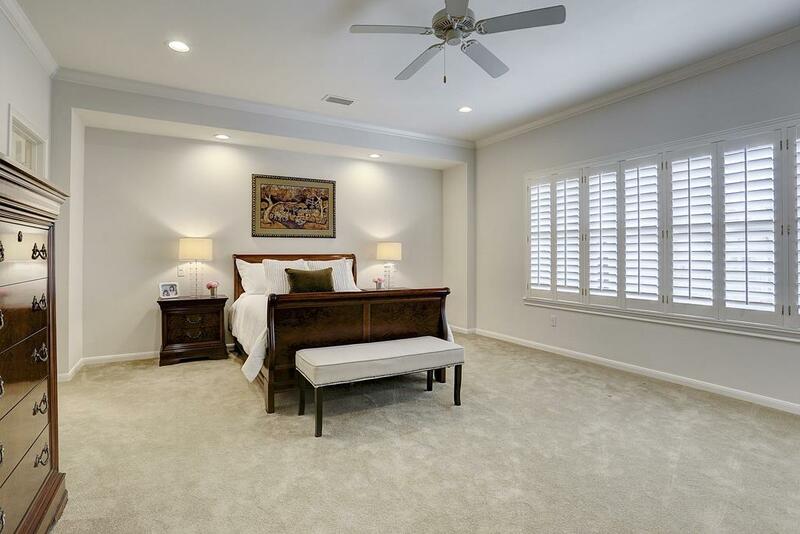 Master Suite - Has bed wall niche. Wood shutters. Recessed lighting. Wall of built-ins. Large enough to accommodate a sitting area. 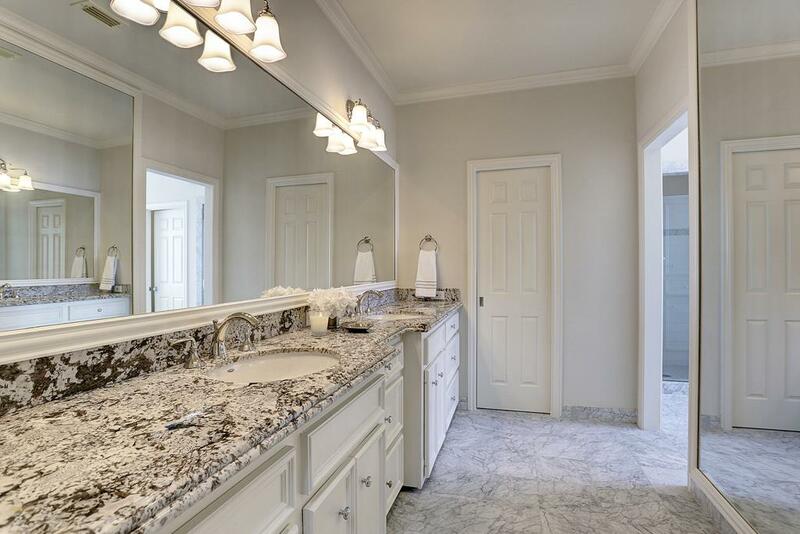 Master Bathroom - Double vanity, white granite, marble flooring, with excellent amount of drawers and cabinets. 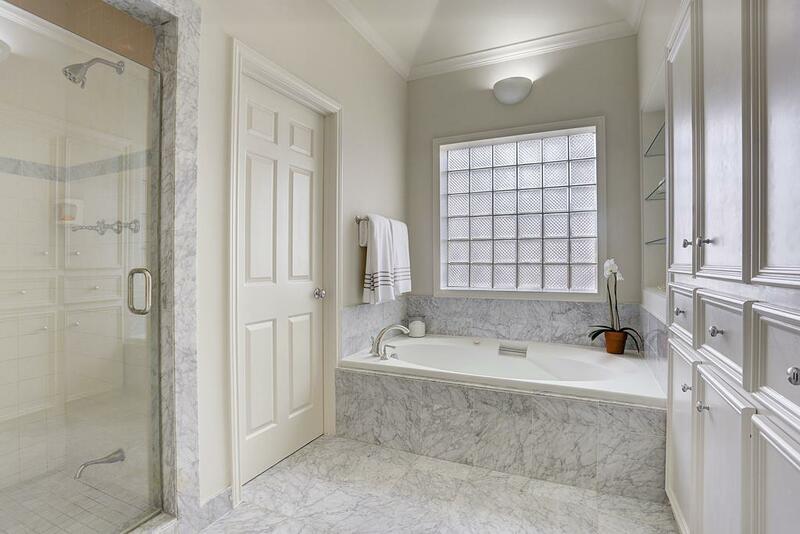 Marble filled master bathroom - Glass shower, large window with whirlpool tub. Custom built-ins. Private water closet. Bedroom #2 - Has en suite bathroom. 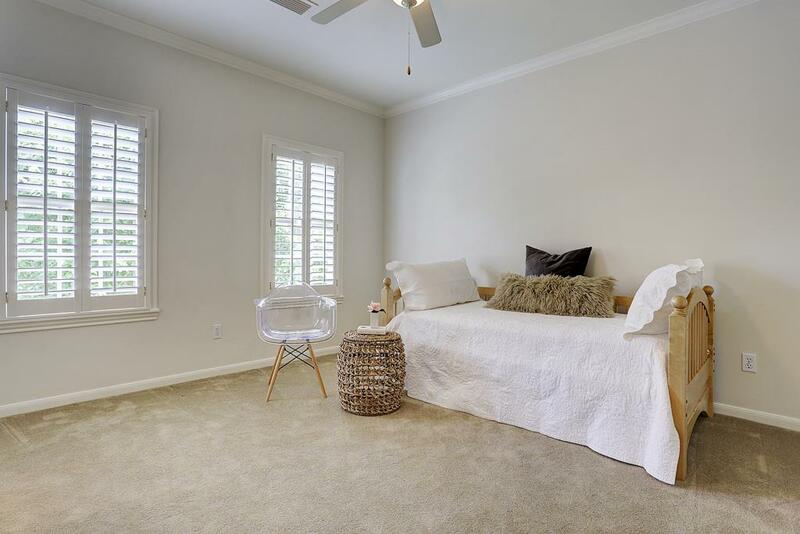 Shutters, fan, large closet. 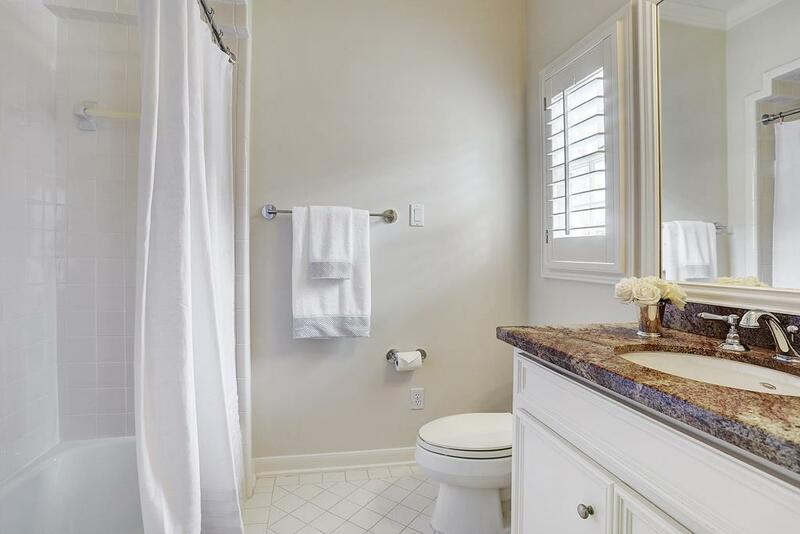 En suite bathroom with shower tub. 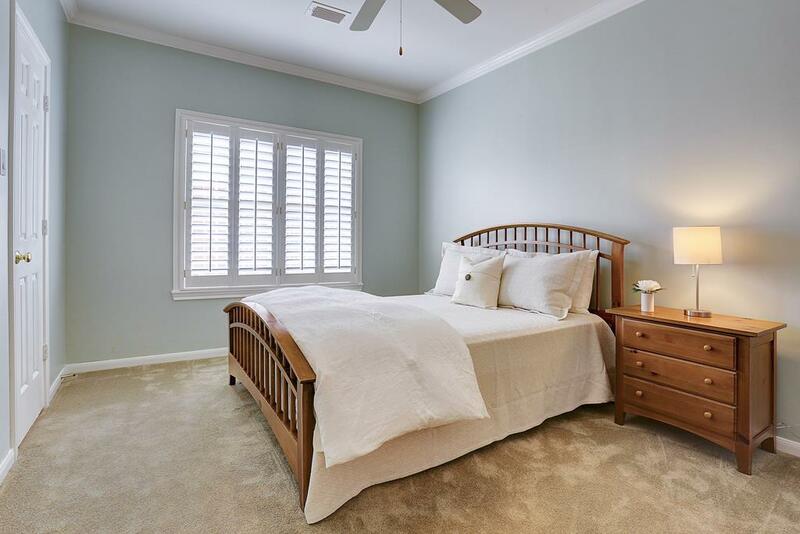 Bedroom #3 - Has ceiling fan, large closet, shutters. Jack and Jill bathroom between third and fourth bedroom. 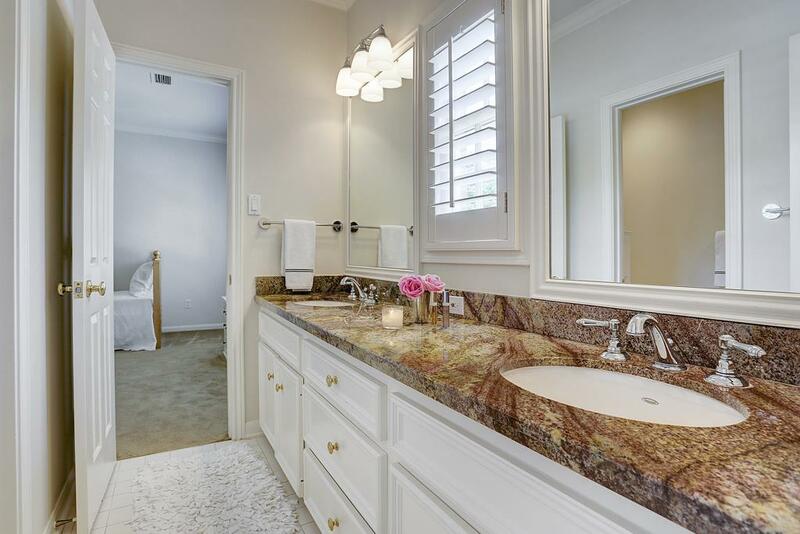 Has double sinks marble counters and shower tub. Bedroom #4. Lovely tree top views. Has shutters, fan. All three secondary bedrooms are a good size. 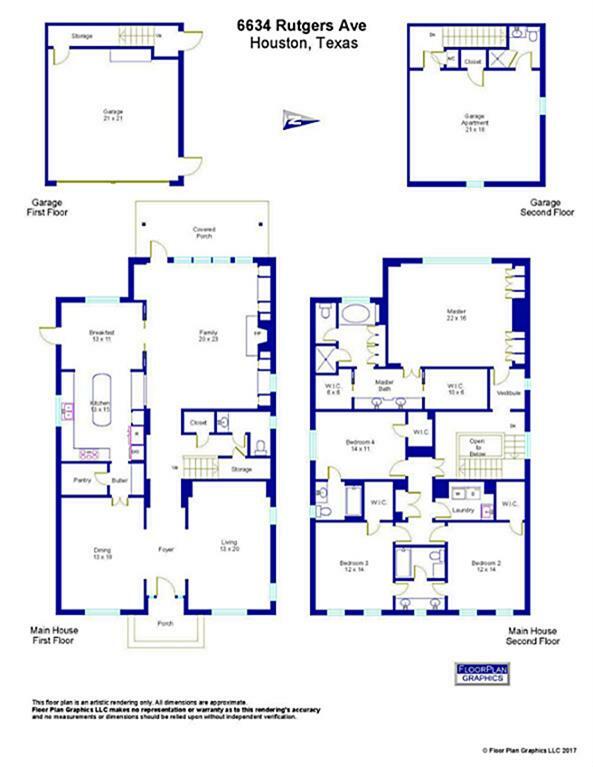 576 square feet - Guest suite over the detached 2 car garage. Completed 2014. Has closet, full bathroom with shower. 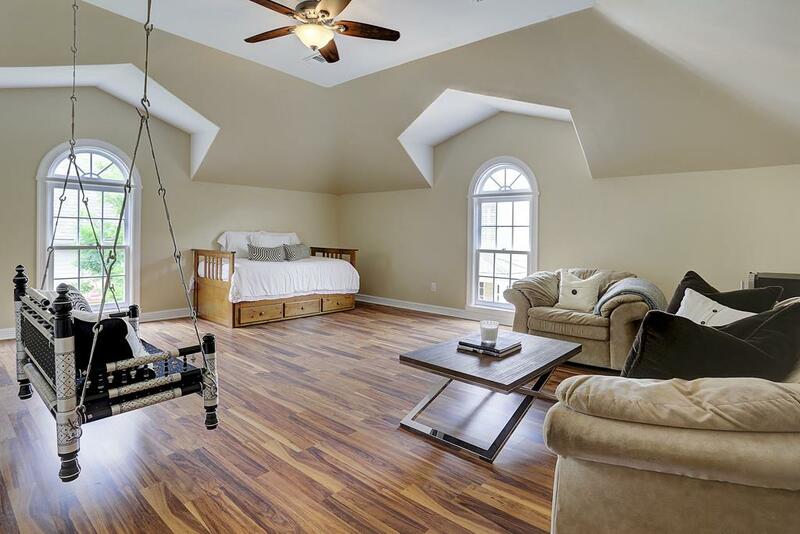 Hardwood floor, ceiling fan, two large windows for natural light. 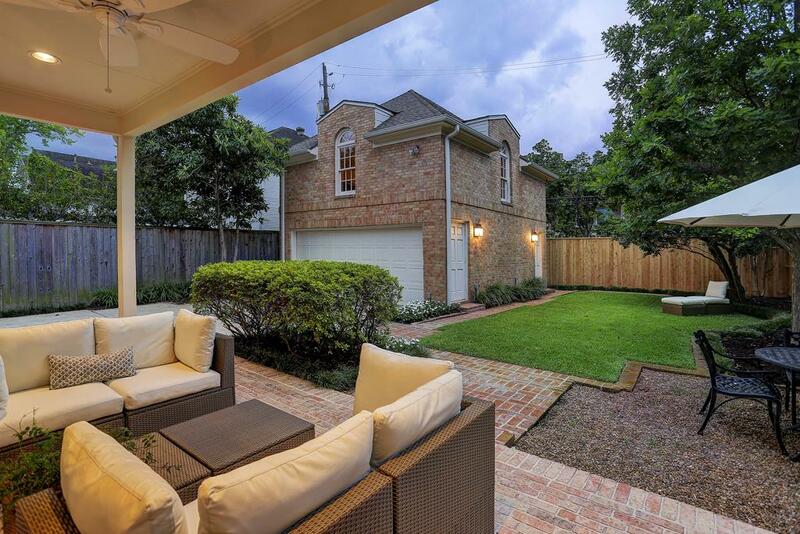 Outdoor covered patio - Brick pavers, ceiling fan, two sitting areas, manicured backyard. Fenced backyard - Room for a pool. 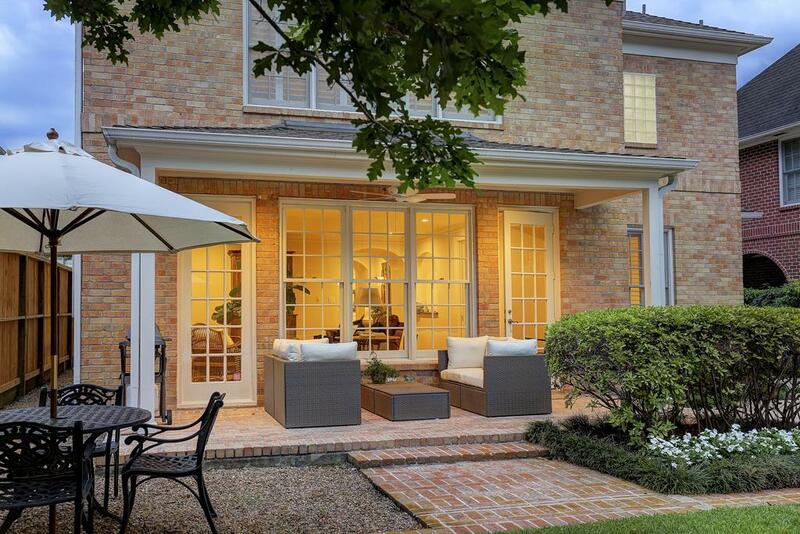 Well planned and designed backyard/outdoor space. 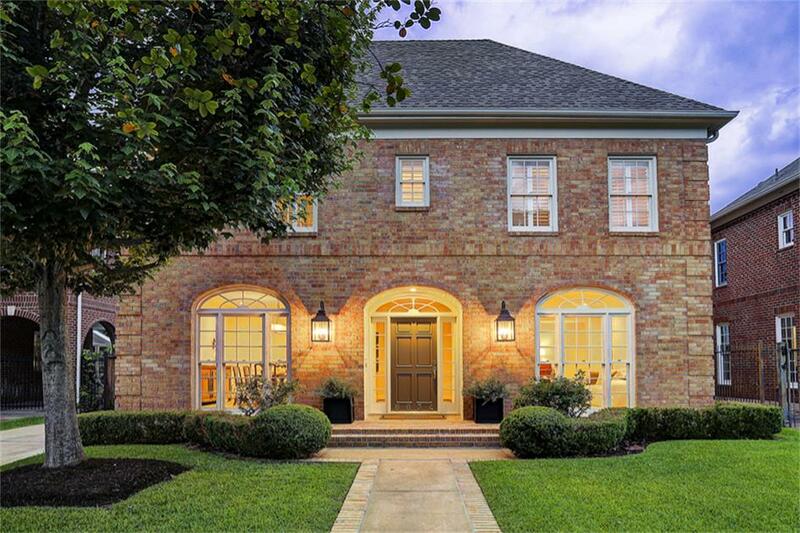 Brick walk way to garage and guest suite.